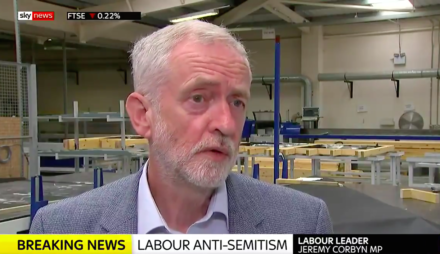 Jeremy Corbyn has said he was “present” but not “involved” in laying a wreath for terrorists linked to the Munich massacre of the 1972 Summer Olympics. On Saturday, the Daily Mail reported that Corbyn had held a wreath at a 2014 tribute for Black September members. Responding to the reports last night, a Labour spokesperson said: “The Munich widows are being misled. Jeremy did not honour those responsible for the Munich killings. He added: “I was there because I wanted to see a fitting memorial to everyone who has died in every terrorist incident everywhere because we have to end it. Jeremy Corbyn admits he was present at a wreath-laying memorial for Palestinian activists thought to have been behind the murder of Israeli Olympic athletes in 1972. Update, 3.40pm: Labour MP Luciana Berger has called on Corbyn to apologise.